Closed: 4.75"; Blade: 3.75" l 8Cr13 Stainless l Standard Edge l Stonewash Finish; Other Info: Thumb Stud(s) l Extended Tang l Thumb Ridge l Lanyard Hole. Stonewash finish handle. 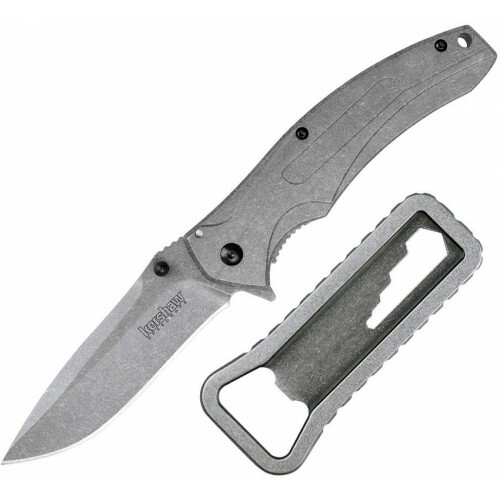 Also includes 4.25" overall stonewash finish stainless multi-function tool with bottle opener and hex wrench. Hang Packaged.